This genus of plant is rarely used anymore because it is so dangerous. Therefore, it should be used only under strict knowledgeable supervision. Since it is highly toxic, it can lead to the development of tumors if low doses are taken over an extended period of time. Indigenous to Mediterranean regions, Asia Minor, and the Caucasus, this perennial is also found in numerous other regions. The plant grows to about three feet and has an unpleasant smell. The flowers are a dirty yellow and briefly trap the insects that pollinate them. The Duck Flower grows in the southern part of Mexico to Panama. It is a hairy vine that grows along streams and in other wet areas. The leaves are long-stemmed and appear heart-shaped. Before opening, the vine resembles the shape of a duck with the stalk appearing like a bill and a slender tail dangling at the other end. Aristolochia means "excellent birth" and refers to the traditional use of the fresh juice to induce labour. Indian Root was used mainly in childbirth. In England, it was known as birthwort and used for this purpose. Theophrastus (c. 372-286 BCE) records that the plant was used to treat disorders of the uterus, reptile bites, and sores to the head. Of the 350 or so species of Aristolochia, several carry the common name of snakeroot because many of the species were used by Native Americans to treat snake bites. They also employed the plants to treat stomachaches, toothaches, and fevers. In the 16th century when Francisco Hernández was cataloging the flora of "New Spain", he came across a plant that looked like the same as the herb he knew back in Europe. The Mexican species, however, can have enormous flowers. He reported that the Aztecs used it to treat abscesses, dysentery, deafness, and various other ailments. Aristolochic acid not only stimulates white blood cell activity, it is also carcinogenic and damaging to the kidneys. However, it is an effective wound healer, according to Chinese research. Birthwort was formerly used induce labour; and, when taken after childbirth, it prevented infection while inducing menstruation.A decoction was taken to heal ulcers, as well as for asthma and bronchitis.It was also used to treat wounds, sores, and snakebites. Poultices and infusions were used by Native Americans for snakebites. It was also used for this purpose in the Amazon. Although used in China for lung disorders, pain, and fluid retention, Germany has banned the plant because of the toxicity of aristolochic acid. It is used in a wide variety of ways in nearly all European countries. It was also considered a strong fever remedy.In the Sudan, it is used for scorpion stings.In Iran, the European variety is used as a tonic and to induce menstruation.In India, it is used as a contraceptive.In Mexico, it has long been recommended for snake bite; and, interestingly, half a world away in Taiwan, a 1974 study of another species also effectively inactivated snake venom.It is used to stimulate the immune system, as well as in the treatment of allergically caused gastrointestinal and gallbladder colic. In Chinese medicine, it is used for joint pain, stomachache, malaria, and abscesses.Homeopathic uses include gynecological disorders and in the treatment of wounds and ulcers. 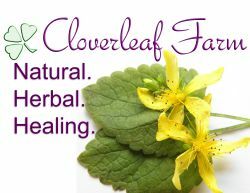 It has been used in treatment after major surgery and in ear-nose-throat treatments. Duck Flower has a number of reported uses in Central America. Generally not available in the US, it is available south of that border. Michael Balick and Rosita Arvigo state that it is one of the most popular herbal remedies used in Belize, where decoctions and infusions are commonly made from the vine. It can often be seen soaking in a bottle of rum in saloons since it is taken by the shot for hangovers, flu, flatulence, late menstrual periods, and irregular heartbeat. However, it is advised that it be used under the guidance of a knowledgeable professional as it is poisonous and contains a mutagen and carcinogenic.